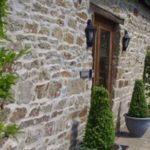 A lovely spacious character barn conversion with natural stone walls, oak beams, heated flagstone floor throughout the ground floor. 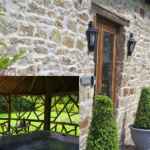 Oodles of chars and character dating from the 17th Century combined with the advantages of all modern conveniences, make this an ideal base for your exploration of the Forest of Dean and the surrounding area. A fully equipped kitchen; including dishwasher, microwave, fridge freezer, cooker and hob. 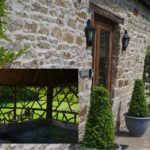 This cottage has two centrally heated double bedrooms, both with original beams, stone walls and sloping ceiling. Free WiFi is available in all of our Lodges. This lodge sleeps three people in two double beds, one double bed is against the wall. A freezer is available in Kensley Lodge. 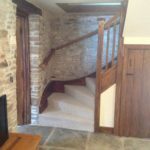 Large open plan lounge with original beams and stone walling. For your comfort there are reclining chairs, and sofas. The dining room has a lovely glass paneled wall/door which opens up onto the terrace area with views into neighbouring horses fields. A modern bathroom with shower over bath. 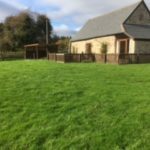 This self catering lodge has individual parking for two cars. Bikes are NOT permitted in the accommodation however, there are lockable anchors outside each lodge. We also have a bike shed. 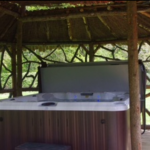 Cancellation booking fees can only be guaranteed if the lodge is cancelled with a minimum of 10 weeks before the date of arrival, unless we are able to re-let.